Kradolf / Switzerland – SEPTEMBER 18, 2018 - The wine and spirit market today thrills with extremely creative, highly embellished designs. 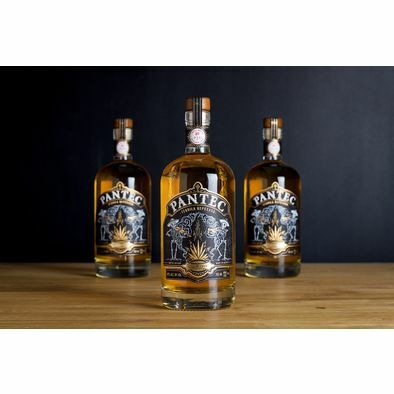 From noble single foil to complex multi foil designs: these labels inspire, attract buyer’s attention and assign a high value to the underlying product and are therefore an essential cornerstone for the success of the brand owner. Being active in this field can also be very lucrative for label printers. But it presupposes to have a nose ahead when it comes to refinement technologies and efficiency. RHINO™ IIS is the answer to these requirements. 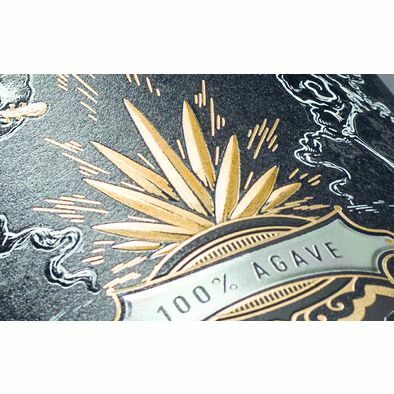 The in-line flatbed embossing system offers sophisticated embellishment techniques with unrivalled performance and is thus an added value for every production line for high-quality labels. ((Caption)) RHINO™ IIS provides same high quality embossing as traditional wet glue sheet units, but at much higher speed of up to 30’000 strokes per hour on uncoated stock. ((Caption)) Creative designs and novel embellishments attract the attention of potential buyers. 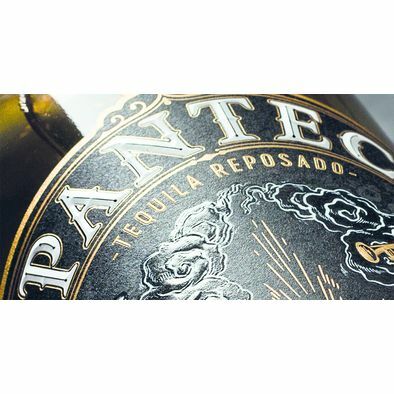 ((Caption)) 3D microembossed gold foil for essential elements, holographic foil for accentuation and transparent foil for a spatial impression of the backgroud level make this tequila label a unique piece of art. 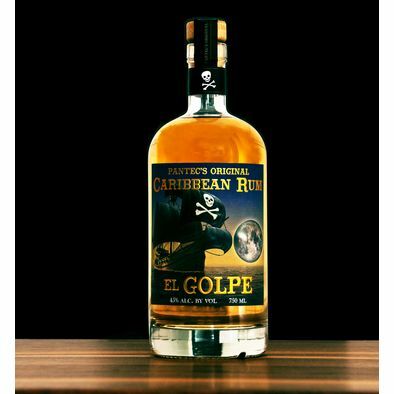 ((Caption)) Single pass label production with 3-stroke foil decoration. 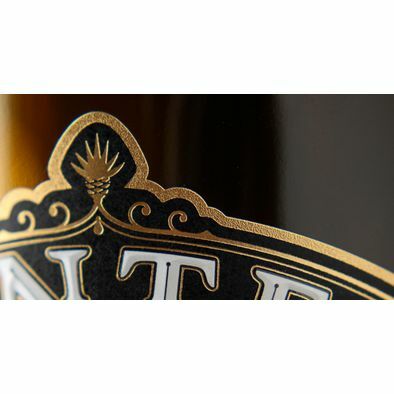 The font is perfectly surrounded with a golden line, the font itself decorated with an embossed transparent foil. The 3rd foil attached is a holographic foil in the lower part of the label. ((Caption)) RHINO™ IIS provides long dwell time, zero register and high processing temperature resulting in outstanding 3D reliefs. ((Caption)) A roughened nanostructure gives a distinguished look to a label frame. 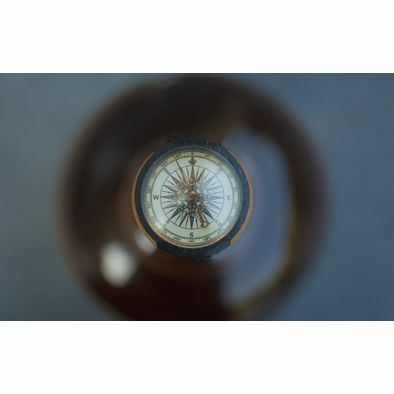 ((Caption)) A view down onto a sealed rum bottle: the closure is printed with a compass, embellished with a lens perfectly fitting to the round shape, giving a spatial depth impression. ((Caption)) RHINO™ has a tool cassette for quick job change. 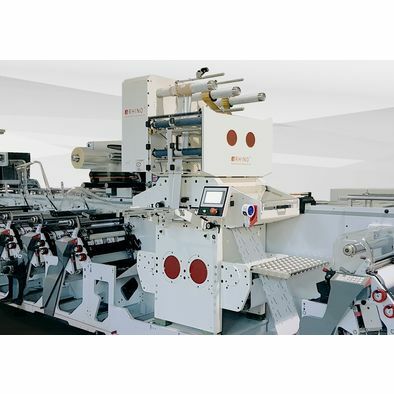 In combination with the job saver counter plate the setup of the machine for repetitive jobs can be done without fine tuning.